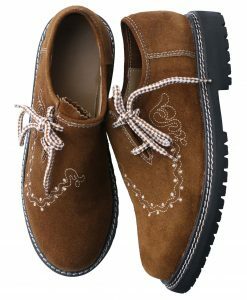 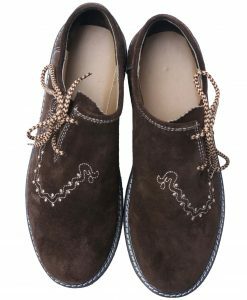 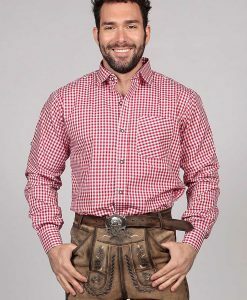 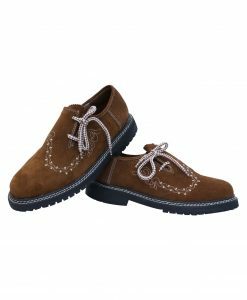 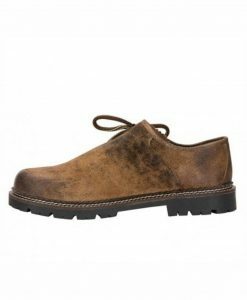 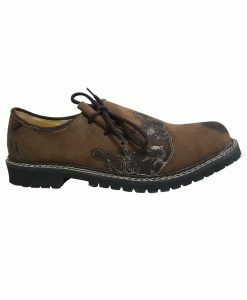 Walk around in these brown Bavarian Lederhosen shoes that are made from the strongest quality of suede leather with a soft interior coating. 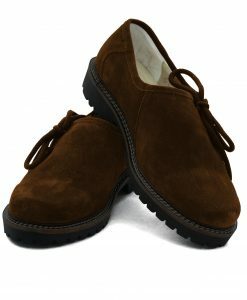 The rubber soles are thick for a strong grip and longer duarblity. 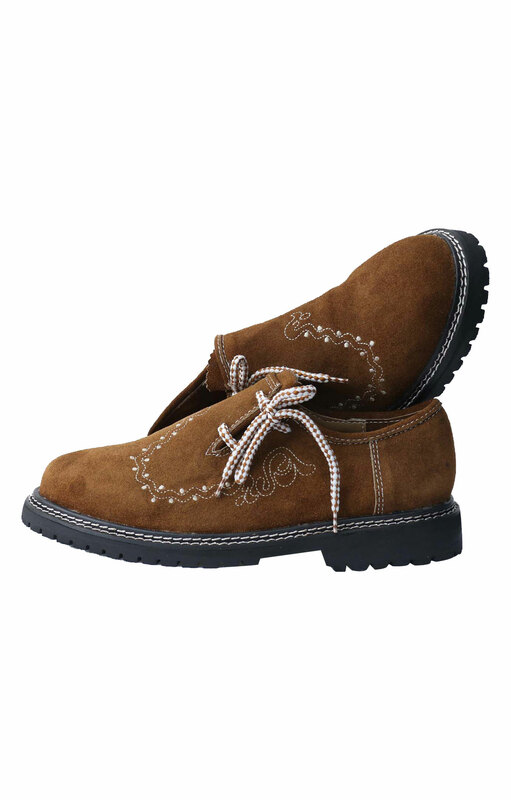 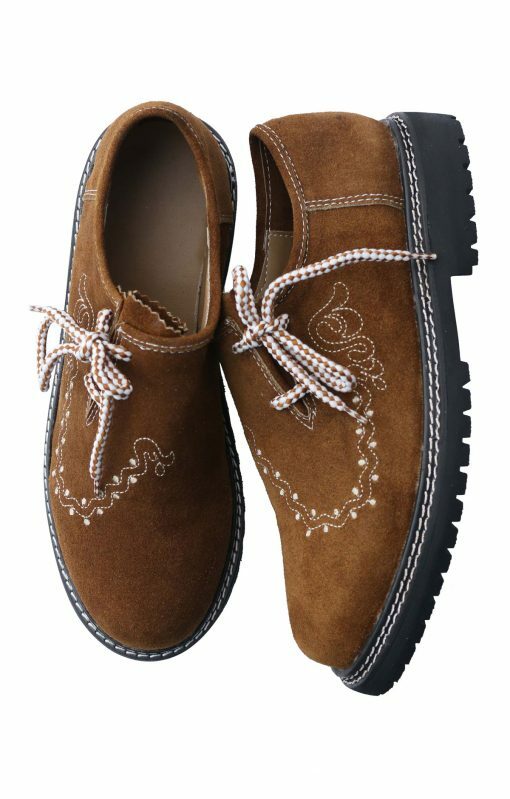 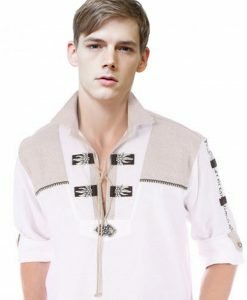 The shoes have a series of hand embroideried designs for a genuien tradiotional german outfit look! 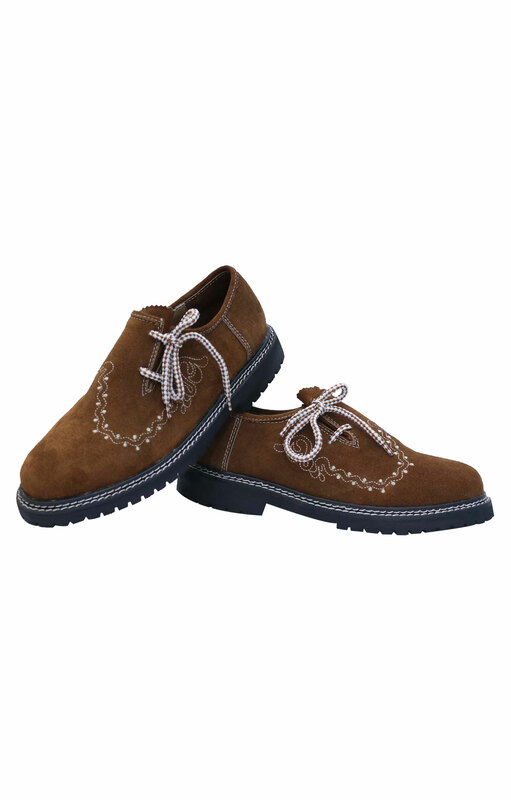 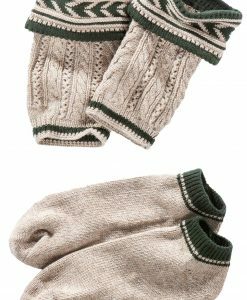 Matching the embroidery are stripped side laces that adds closure to tighten your shoes for comfortable foot wear. 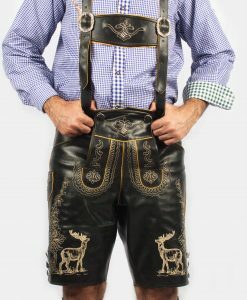 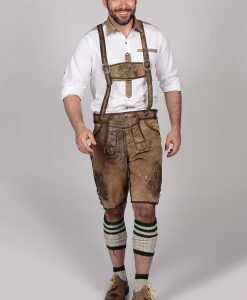 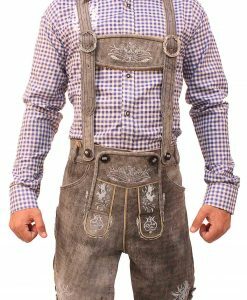 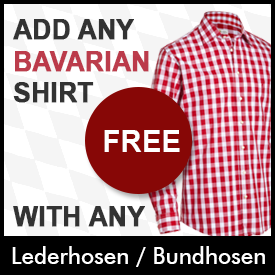 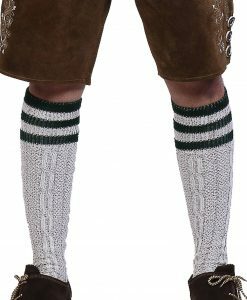 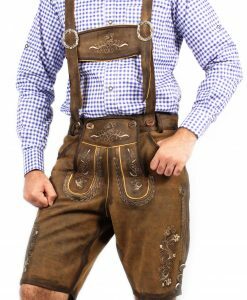 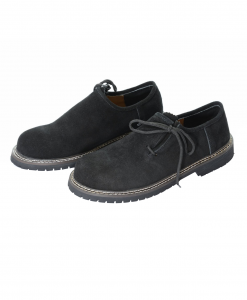 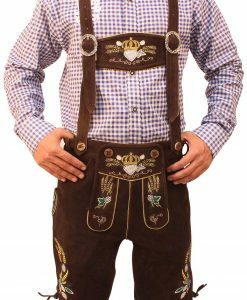 Put on these German shoes with any traditional Lederhosen or leather trousers. 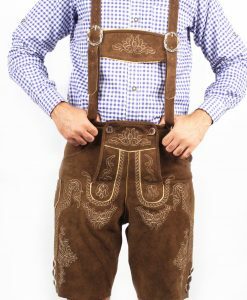 These shoes are durable and highly recommended for a long lasting pair of footwear for oktoberfest this year!